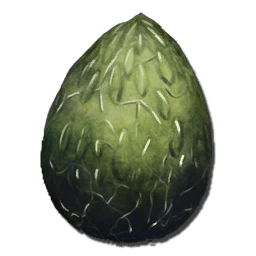 Wyvern Eggs are items in the Scorched Earth and Ragnarok-DLC of ARK: Survival Evolved. They come in four varieties and are used to hatch Fire, Lightning, Poison, or Ice Wyverns accordingly, and can be used to make Extraordinary Kibble. Wyvern Eggs are randomly dropped by Wyverns. They can be eaten or used to make Extraordinary Kibbles for taming Griffin, Megalania, Rock Elemental, Thylacoleo, and Yutyrannus. The Wyvern can't be bred. A Player picking one up in the presence of nearby Wyverns (excluding domesticated ones) will cause them to become hostile and attack the Player. Wyvern Eggs are only found in The World Scar near the blue and red obelisks. Along the walls there are many indentations, some of which will contain a nest with a Wyvern Egg. Upon stealing the egg, any nearby wild Wyverns will begin to attack the player. On Ragnarok, Wyvern Eggs can be found in Dragonmalte Trench as well as the Wyvern Cave, which is between Murdersnow and the northern Highlands. Like on Scorched Earth, the nests are found in indentations along the walls. 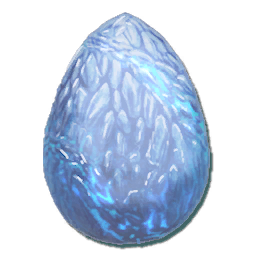 Ice Wyvern Eggs are not found in the trench, but can instead be found in the Murdersnow around the area where Ice Wyverns spawn. Building a trap near the scar to either trap or kill nearby wild Wyverns can take off some of the pressure when getting an egg. If one already has a tamed Wyvern, they are the easiest way of getting an egg, and the only flying mount other than the Griffin (on Ragnarok) capable of outrunning a wild Wyvern with pure speed. Tapejaras are very agile and can strafe to the side to avoid the Wyverns' attacks. They can have decent health(around 1500) and enough weight to collect multiple eggs in one run. They are around the same speed as a Pteranodon. Argentavis has good weight, making it capable of snagging the eggs, but escaping may be difficult due to its speed. It is advised to choose an egg that has as few as possible surrounding Wyverns. One could increase the health of their Argentavis and try to tank their way out. If all of the eggs have at least one surrounding Wyvern, try to choose one that has a lone Poison Wyvern as it is easy to dodge its attacks. The Pteranodon is the fastest alternate flyer, although it is BARELY faster than wild Wyverns (as long as it is not encumbered) and has low health. When escaping, try to fly low, through arches, around rocks, or any other maneuvering to put objects between you and the pursuing Wyverns. They can sometimes get stuck on the rocks, putting more distance between you and them, and allowing more time to escape. If the Pteranodon's stamina pool is high enough, the 'C'-spin maneuver can be used to create more distance between the Pteranodon and the pursuing Wyvern as the 'C'-spin maneuver provides a small burst of increased speed. If playing on a non dedicated server, survivors can abuse the tethering mechanic to get an egg. Have a player that is not the host grab an egg, then have the host player kill themselves and quickly respawn far away. This will force all non-host players to teleport to the host's location. 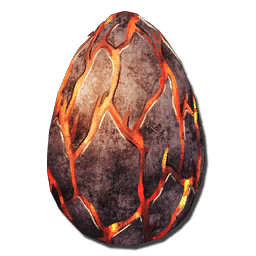 Wyvern Eggs require a very high temperature in order to hatch. A minimum of 14 Campfire will be needed to reach the required temperature. More fires may be required during the night, to accommodate the lower ambient temperature. It takes around 3 days and 20 hours to grow to an adult and they will take Wyvern Milk for imprinting and petting but can be rare prompt. Using Adobe structures can greatly reduce the amount of heat or insulation sources needed. On Scorched Earth, AC units are greatly disregarded because of their costs and impossibility to run during Electrical Storms. 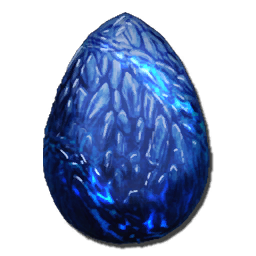 While other creatures in the game have 30 different levels in the wild, Wyverns have 38, giving eggs the maximum level of 190 on the official difficulty of 5. Wyvern Eggs spawned in with commands will disappear as soon as they are dropped, and thus cannot be hatched. This is due to the egg having little to no health on the command-spawned egg; if it is dropped in an area where it can incubate and the health does not deplete, it can hatch. A Wyvern hatched in this manner will always be level 1. More than 1 Wyvern may spawn from a single egg. On Nitrado servers, this could also be caused by the spoil multiplier being set at 0 instead of 1 by default. Prior to ARK: Homestead, Wyvern Eggs cannot be made into Kibbles. This page was last edited on 27 March 2019, at 07:04.